Ffortuitous development, as offshore drilling moves between subsea installation and surface facilities). Umbilical to deeper depths. 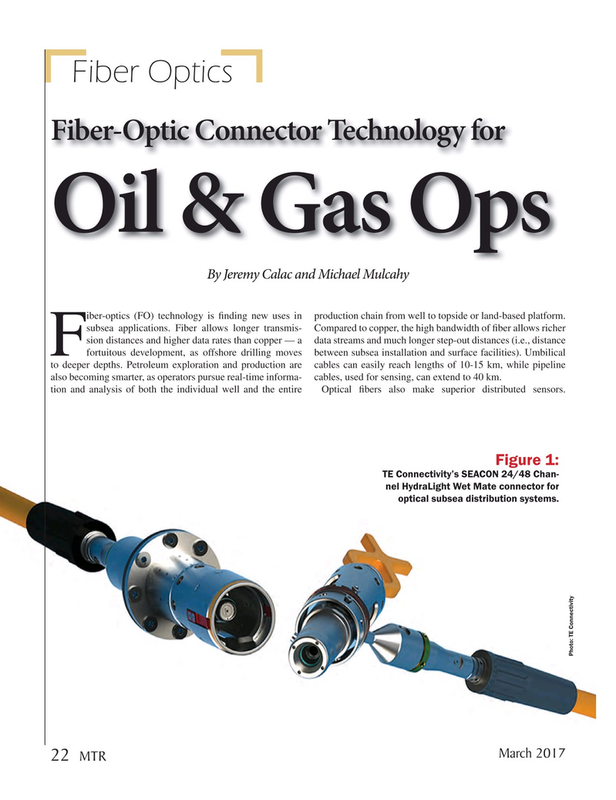 Petroleum exploration and production are cables can easily reach lengths of 10-15 km, while pipeline also becoming smarter, as operators pursue real-time informa- cables, used for sensing, can extend to 40 km. tion and analysis of both the individual well and the entire Optical ? bers also make superior distributed sensors. TE Connectivity’s SEACON 24/48 Chan- nel HydraLight Wet Mate connector for optical subsea distribution systems.